R.G. Male's Dark Corners - January 25, 2012. A new year presents many opportunities. Some of them you plan for. Some of them you expect. Some of them come out of nowhere at the last minute. I had meant to start new entries here last week, but I joined the web blackout. Likewise, at the risk of repeating myself if you tune into all of my blogs, I decided this year against a look back, and a look forward. Better to get right to it. There is only one problem... What to begin with... or more succinctly, which topic to begin with. There are changes afoot at Battered Spleen Productions and it is going to take some time for them to all shake out. I am toying with the idea of posting only twice a month here, but I do not think that is a viable option. I believe that I will be sticking with the current schedule of one week off after the middle of the month. The most drastic changes will be taking place at On Dark Rhoads. Josh will be back this Saturday and continue on after the stunning events that capped off last year and started his nightmare into overdrive. The changes, and the continuation of his story, means there will certainly be a number of topics related to his setting and to role-playing games. I have to check, but I also believe there are a variety of topics that I meant to cover last year, which I did not write yet. I'm going to let you digest this--and how this was kind of a look forward--and get on to other projects. Since this is so late in the month I'll see you again in February a.k.a. next week. Music: Childhood's End by Iron Maiden and Just Another Psycho by Motley Crue. 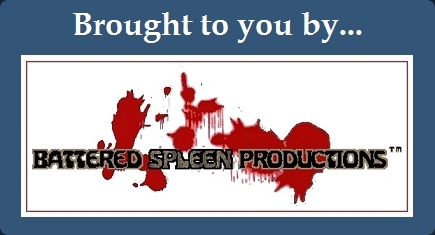 Tags: Battered Spleen Productions, New Years, On Dark Rhoads, role-playing games, setting.